SO Knee Blog # 10. 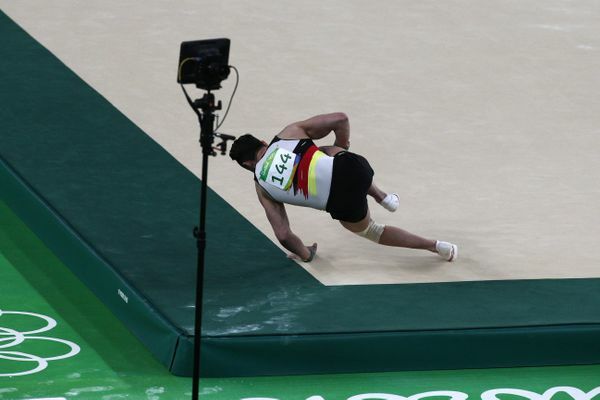 The German gymnast landed awkwardly during the floor exercise of the men’s team event, tearing the anterior cruciate ligament (ACL) in his knee. However as it was the team event, the injured player must complete the pommel horse. Otherwise, the whole team will be eliminated from the competition. So, literally and figuratively, Andreas Toba climbed back on the pommel horse and completed his event eventhouhg he had severe pain. His team’s final high score was 14.233, enough to help Germany scrape past Switzerland and qualify as the last entrant for the finals of Rio Olympics. Saumya Orthocare team understands the pain, patient of ACL tear suffers on day '0'. The pain is usually too much to bear and player often cannot stand back himself, forget the gymnastics. There is enough swelling in the knee joint within minutes that player is forced to take rest. We salute the sportsmanship of this great player.